Adam Rippon On What It Means To 'Show Every Part Of Who You Are' The Olympic bronze medalist tells NPR's Lulu Garcia-Navarro that his decision to come out coincided with his readiness to take on the responsibility of being a role model for the LGBTQ community. 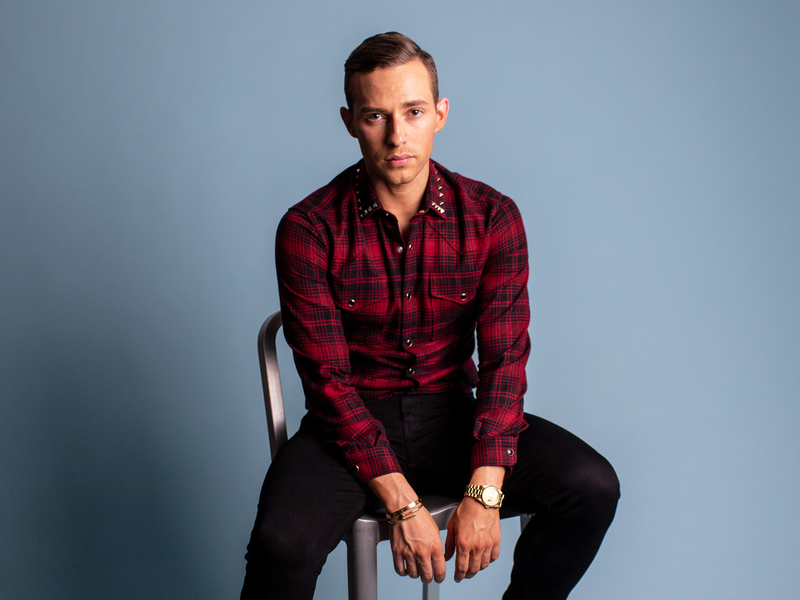 This year, figure skater Adam Rippon became the first openly gay man to compete for the U.S. in the Winter Olympics. His Olympic journey may be over, but he remains a steadfast representative for the LGBTQ community. Adam Rippon has had a very busy year. The figure skating star has been snatching titles, ranging from U.S. figure skating national champion to Olympic bronze medalist. As an openly gay athlete, Rippon has served as an inspiration and role model not only in the athletic world but also as an advocate and representative for the LGBTQ community. In March, he gave a stirring acceptance speech as the recipient of the Human Rights Campaign's Visibility Award. In his speech, Rippon encouraged viewers to embrace their imperfections and take pride in just being themselves. Rippon will also be making a guest appearance on the second season of the Will & Grace reboot. And on a recent visit to NPR's Washington, D.C., headquarters, he discussed his responsibility to his community, as well as his acting chops, in an interview with NPR Weekend Edition host, Lulu Garcia-Navarro. I've stretched the truth before in a few instances. My mom's here; I'm sure I've done a few acting jobs at home as a kid. ... To be on the set that I saw when I was watching Will & Grace as a kid, it was such an honor. 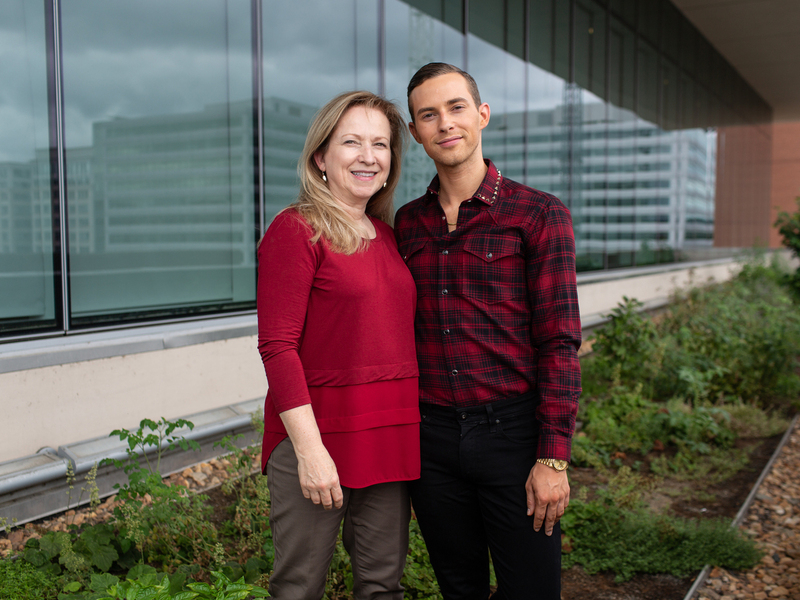 Adam Rippon and his mother Kelly Rippon pose together at NPR's headquarters in Washington, D.C. I think that to have representation is a big thing. I think my responsibility is [to] talk about those issues. I'm from a really small town in Pennsylvania. Only about a week-and-a-half ago, my brother sent me this article, and there's a university — it's a very small, religious university — and this school expelled a student for being gay. I mean, that's a five-minute walk from my house. I will say that there was another local university that stepped up and offered to help him finish his degree, which speaks to the kind of people that I know are in my area. And I think that if we're in a position to help people that you should always take advantage of that. It's your responsibility to pay that forward for somebody who may be younger than you or who might be going through the same thing; to give them the courage to go through it themselves or to do something to make their road a bit easier. That underlying of homophobia is something that I felt growing up. I didn't come out until I was in my very early 20s and it was because I said I would just deal with it later. And then life sort of catches up with you and you realize "OK, there's no, like, 'right time' to deal with something you should deal with right now." But when I did, it's when I really came into my own in my career. You know the saying, that "ice is slippery" — we say it all the time in skating and it's so true. The ice is slippery. You can't control everything but if you don't give 100 percent you can control that. In a sport where you have four minutes to show who you are and what you're made of — if you can't really show every part of who you are, are you really giving 100 percent? And I think that speaks to kind of everybody. I know other athletes that are out have made it easier for me to be out. One of my really good friends who I met at the Olympics, Gus Kenworthy — you know, he comes from an X Games sport. I think there's a lot of internal homophobia that he deals with and so, it takes a lot of courage for him to come forward. And we had a conversation that like when we came out, we told ourselves, like, "OK, now I need to be better than I've ever been before so nobody thinks that I'm weak because I'm gay or I'm not as good because I'm gay" — which are awful thoughts. But, you know what? It was a responsibility and it felt like something that I was ready to take on. I think that's why I felt like I was ready to come out publicly when I was in my mid-20s — I felt like I was ready for that responsibility. I made sure that I was skating well so that I was a good representation of my community. I had such a great experience. There's nothing more that I want to accomplish as an athlete and I think it was just the best way for me to end my Olympic journey. I mean, if I do [return to the Olympics], I will come back here and [to NPR's Lulu Garcia-Navarro] we can buy the tickets together, because it will not be as a competitor. NPR's Sophia Boyd and Viet Le produced and edited this story for broadcast. Cameron Jenkins produced this story for digital.